Jack L. Parker (BS ’55, MS ’56, PhD University of Utah ’67; Janice Young [BA ’55]; Springville, Utah) is a retired laboratory fellow of the Los Alamos National Laboratory. All of the Parkers’ 10 living children have at least one degree from BYU. 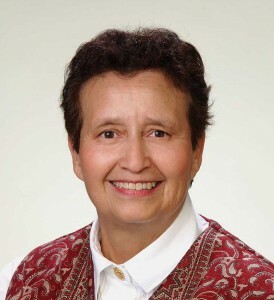 R. Vivian Acosta (BS ’65, MS ’67, PhD University of Southern California ’74; West Brookfield, Mass. ), past president of the National Association for Girls and Women in Sport and a professor emeritus of Brooklyn College of the City University of New York, was honored with the Bigger Picture of Being a Champion Award by the Alliance of Women Coaches. She has also received the Lifetime Achievement Award from the National Association of Collegiate Women Athletics Administrators and been recognized as one of the 100 Most Influential Sports Educators in America by the Institute for International Sport. Linda J. Carpenter (BS ’66, MS ’67, PhD University of Southern California ’74, JD Fordham University ’81; West Brookfield, Mass.) received the Vanguard Lifetime Achievement Award from the American Bar Association. She has also received the Lucy Stone Achievement Award. A professor emeritus of Brooklyn College of the City University of New York, she is the author of 11 books, including Legal Concepts in Sport: A Primer. David H. Ellis (BS ’69, PhD University of Montana ’73; Catherine Hunt [BS ’68]; Oracle, Ariz.) published Enter the Realm of the Golden Eagle, a collection of stories about eagles. Joyce A. Baggerly (BA ’70; Provo) self-published her first book, He Passed By: The Marine Corps Life of Gunnery Sergeant James E. “Ranger” McCain, a biography of her one-time fiancé, who was severely wounded in the Vietnam War and later died of his injuries. Ralph C. Smith (BS ’71, JD University of the Pacific ’79; Madera, Calif.) and his wife, Rosetta Smith (BS ’71), are serving in the Peru Trujillo Mission. Robert B. Jones (BA ’75, DC Western States Chiropractic College ’81; Joy Harmon [AS ’75]; Draper, Utah) coauthored I Am More Than Enough: Helping Women Silence Their Inner Critic and Celebrate Their Inner Voice. Jones is the clinical director of the Utah Wellness Institute. Janet Chandler Craven (BS ’76, MEd ’86; Philip; Herriman, Utah) has been selected as the Utah Foreign Language Association’s Elementary Teacher of the Year. Craven teaches second grade dual-immersion Chinese in the Jordan School District. Miner E. Webster (BS ’77; Jennifer; Gilbert, Ariz.), the head women’s basketball coach at Highland High School in Gilbert, Ariz., was named the National Girls’ Basketball Coach of the Year for 2013 by the National High School Coaches Association. Webster is the second women’s basketball coach in Arizona to reach 700 career wins. Darrell K. Brown (BA ’79; Lise Baer [BS ’77]; Salt Lake City) has been promoted to president of Bonneville International. Brown will oversee 12 radio stations and have responsibility for operations of KSL Television. Prior to this he was president of KSL Broadcast Group. David R. Deitrick (BA ’79, MFA University of Tennessee ’93; Lori; Clarksville, Tenn.) teaches art at Nashville State Community College, where he has been a faculty member since August 2012. 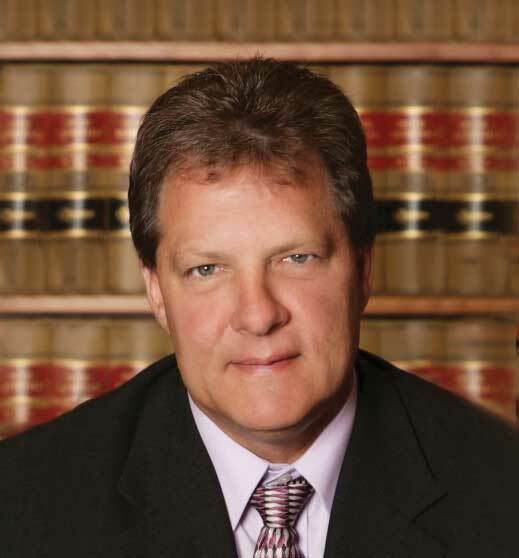 Curtis M. Jensen (BS ’82, JD University of Tulsa ’95; Danielle; Santa Clara, Utah), one of the founding partners of Snow Jensen & Reece, is the 2013–14 president of the Utah State Bar. Jensen is also a member of the American Bar Association, Federal Bar Association, and Southern Utah Bar Association. Michael C. Perry (BA ’82; Sharon; South Jordan, Utah) was the stage director for Hansel and Gretel, presented by the Utah Valley Symphony and Utah Lyric Opera. He also compiled the resource manual Christmas Programs for Sacrament Meetings and authored the fantasy novel The Blood Rose of Panador. L. Terry Porter (BS ’83; Debby Rindlesbacher [AS ’83, BGS ’07]; Cedar City, Utah) has been elected to Best Western International’s board of directors and will serve as the 2014 secretary-treasurer. Michel J. Carter (MBA ’85; Danielle; Quebec City) and his wife departed in December 2013 to serve a mission in St. Petersburg, Russia. Carter also served as mission president in the France Toulouse Mission between 2008 and 2011. A. Jane Birch (BA ’86, PhD ’94; Provo) published Discovering the Word of Wisdom: Surprising Insights from a Whole Food, Plant-Based Perspective and created Discoveringthe­WordofWisdom.com, a website featuring stories of Mormons who have tried a whole food, plant-based diet. John C. Cope (BA ’88, JD ’91; Ann Painter [BA ’86, MOB ’88]; Benicia, Calif.) was appointed by California governor Jerry Brown to serve as a judge on the Contra Costa County Superior Court. Cope has been with the Contra Costa County district attorney’s office since 1991. S. Jay Young (BA ’91, JD ’94; Julie Bryan [BS ’86]; Las Vegas) has joined Howard & Howard and will concentrate his practice in general civil and commercial/business litigation; he will also serve as a private arbitrator and mediator. Bradley J. Wiskirchen (BA ’93, JD University of Notre Dame ’96; Koleen Jackson [BS ’92]; Boise, Idaho) was named chairman of the board of governors of the Federal Reserve System’s Salt Lake City branch. Wiskirchen is the CEO of Keynetics. 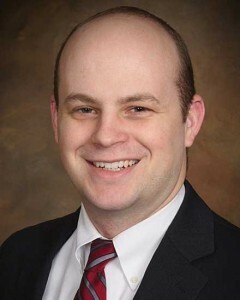 Thad H. Balkman (BA ’94, JD University of Oklahoma ’98; Amy; Norman, Okla.) was appointed district judge for Oklahoma’s Cleveland County by Governor Mary Fallin. Balkman has served as a member of the Oklahoma House of Representatives. He was also named one of the Journal Record’s Achievers Under 40. Shauna Schmidt Evans (BS ’94; Joe R. [BS ’93]; American Fork, Utah), a registered nurse, published Skinny-licious: Life and Scrumptious Recipes for a Slimmer You. Evans has placed first and second in national recipe contests. Amy Udall Smart (BA ’97; Michael D. [BA ’97, MA ’02]; American Fork, Utah) was named a BERNINA expert for WeAllSew.com. Smart will be part of a community that provides sewing patterns, tips, techniques, and project ideas. Elizabeth M. Pipkin (BA ’98, JD Harvard Law School ’01; Millbrae, Calif.) was honored by the Silicon Valley Business Journal as one of the Silicon Valley 40 Under 40. Pipkin is one of four attorneys to receive the honor. Caleb J. Warnock (BA ’98; Charmayne Gubler [BA ’75]; Alpine, Utah) published More Forgotten Skills of Self-Sufficiency, a book of self-reliance tips, such as how to grow self-seeding vegetables and collect water from rain and snow. Joshua T. Williams (BA ’98, MPS Fashion Institute of Technology ’08; Kathryn Fesler [’00]; Bloomfield, N.J.) has been appointed chair of the Fashion Department of the Larry L. Luing School of Business at Berkeley College. Trent M. Sutton (BA ’99, MPA Syracuse University ’00, JD ’03; Elizabeth Gleason [BA ’00]; Pittsford, N.Y.), an attorney at Littler, has been elevated to the level of shareholder. Grant M. Leeds (’01; Leyla; Sandy, Utah), a national clothing designer, will design for DownEast, serving as the company’s head designer for Modbe, a contemporary clothing line. Adam S. Miller (BA ’01; Gwen Walters [BS ’00, MS ’01]; McKinney, Texas) published Rube Goldberg Machines: Essays in Mormon Theology. Taneil Wells Specht (BS ’01; David R. [’01]; Connell, Wash.) cofounded the Inspired Questions app, a communication game for families to create their own definition of what it means to be wealthy. Kristin Barrus Bryant (BS ’02, MEd California State University, Fullerton ’08; Kurt M. [BS ’04]; La Habra, Calif.) published the science-fiction novel The Others, which was nominated for a 2013 Whitney Award. Bryant also lectures at church meetings, high schools, and colleges about the writing process. America Peterson Francis (BS ’02; Donald J. [BA ’00]; San Ramon, Calif.) completed an early-childhood credential from the American Montessori Society. Francis served on the founding committee for a new Montessori charter high school. She also created the Castro Valley Game Library, a source for games and learning materials. Cameron D. Sawyer (BA ’02; Los Angeles) wrote, directed, and narrated the short film She’s a Fox. The film has been screened in more than 50 film festivals worldwide. Sawyer is also working on a feature-length high school comedy. Samuel A. McGuire (BA ’03, MS University of Colorado Denver ’04; Jennifer Beckstead [BA ’02]; Littleton, Colo.) published his third book, Modern MIDI: Sequencing and Performing Using Traditional and Mobile Tools. McGuire was also awarded the rank of associate professor of recording arts with tenure at the University of Colorado Denver in 2013. Kelsey Nixon Egan (BA ’07; Robby M. [BA ’09]; Brooklyn, N.Y.) has a show on the Cooking Channel called Kelsey’s Essentials. Egan also published the recipe book Kitchen Confidence: Essential Recipes and Tips That Will Help You Cook Anything. Spencer K. Linton (BA ’07; Brittany Andersen [BS ’07]; Saratoga Springs, Utah) is a host for BYU Radio’s daily sports talk show, BYU Sports Nation, which covers in-depth news, analysis, and opinions about BYU athletics. Jeffrey R. Miles (BS ’07, MAcc ’07, JD ’12; Karen James [BA ’06, MPA ’12]; Washington, Utah) is an associate attorney at Snow Jensen & Reece. Miles’s focus is civil litigation, banking, and transactional law. Ashley Robinson Palmer (BS ’07, MS University of Bridgeport ’13; Clifton; Midvale, Utah) started Youtrition, a health-and-nutrition counseling and education business in the Salt Lake Valley. Palmer is also a regular guest on ABC4’s Good Morning Utah and blogs at Youtrition.net. Chad R. Carlson (BA ’08, JD Trinity International University ’12; Carly Elton [BS ’10]; Valencia, Calif.) has joined AlderLaw, a trial law firm in Los Angeles. 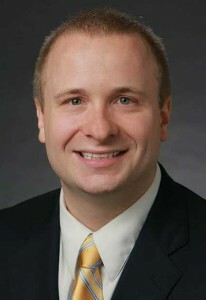 Carlson focuses his practice on catastrophic personal injury, wrongful death, and employment law. Jonathan V. Hoffman (BFA ’08; Brittany; Oakland, Calif.) contributed to character shadowing for Disney Pixar’s Monsters University. Joshua P. Kessie (BFA ’08; Sarah Montierth [BS ’02]; Pasco, Wash.) was the designer for the app Inspired Questions, a communication game for families to define what it means to be wealthy. Patrick H. Taylor (BS ’08, MBA College of William & Mary ’13, JD College of William & Mary ’13; Keegan Gee [BA ’08]; Cudahy, Wis.) joined Quarles & Brady as an associate in the corporate services practice group. Jarom T. Jordan (BA ’09; Whitney Craft [BA ’10]; Springville, Utah) is a host for BYU Sports Nation, a daily sports talk show on BYU Radio that covers in-depth news, analysis, and opinions about BYU athletics. W. Devin Snow (BA ’09, JD ’12; Laura Ockey [BM ’09, MM ’12]; Santa Clara, Utah) is an associate attorney at Snow Jensen & Reece. Snow’s primary areas of focus are municipal law, environmental law, and civil litigation. 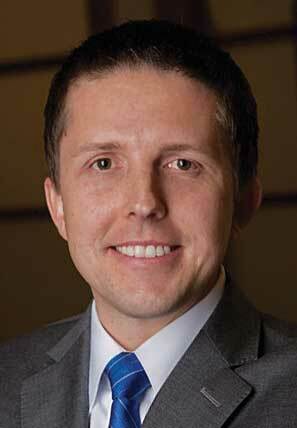 David G. Butterfield (MBA ’10; Trisha; Logan, Utah) was named regional president for USU Charter Credit Union, a division of Goldenwest Credit Union. Prior to this appointment, Butterfield served as USU Credit Union’s chief executive officer and president. published the book 150 Unforgettable Dates: For Couples at Every Stage.